It’s August and the crazy, lazy, hazy days of summer are here! And it’s a perfect time to grab a blanket, gaze at the stars, and enjoy a cool gluten-free treat while soaking up a beautiful summer evening. But sometimes being gluten-free, as well as “free” of other allergens like dairy, egg, soy & nuts can make it difficult to find desserts that are craveable… and available. This is when the folks over at Enjoy Life Foods and their scrumptious gluten-free and allergen-free Crunchy Cookies can help make dessert-time super sweet. Enjoy Life’s Crunchy Cookies come in four varieties: Chocolate Chip, Double Chocolate, Vanilla Honey Graham, and Sugar Crisp. All of these cookies are gluten-free and also free of tree nuts, peanuts, soy, dairy, casein, eggs, sesame, fish, shellfish, potato, wheat & sulfites. This cookies give you the perfect crunch, snap and really shows us how a cookie should crumble! It is perfect alone, dipped in (cow, soy, almond or hemp) milk, or made into one of the fabulous (No Bake!) allergen-free recipes that are featured on the Enjoy Life Foods website, including: The chocolate-covered Frozen ‘Smore Cookie Sandwiches, the decadent perfect for company Frozen Chocolate Black-Bottom Pie or the chocolaty and sweet Double Stuffed Sugar Cookies. All of these super cool and crunchy reasons are why I am so excited that Enjoy Life Foods is the prize sponsor of this Win-It-Wednesday on BeFreeForme.com. The prize is a gift pack of each of the Crunchy Cookies… FOUR boxes total! One (1) winners will be randomly selected from the entries received before Tuesday, August 19, 2014 at 11:59 PM EST, and one more winners will be randomly selected to win from the entries received between Wednesday, August 20 and Tuesday, August 26, 2014 at 11:59 PM. SO – make sure you’re a BeFreeForMe member and enter two times (once each week) to win! Reply to this blog and let us know how you enjoy summer evenings. Me? Hanging out in my screen house with good friends or looking for rainbows after late-afternoon rain showers! Find more recipes, savings, and more by following Enjoy Life Food’s on Facebook and Twitter! This entry was posted on Tuesday, August 12th, 2014 at 8:33 pm	and is filed under Win-It-Wednesday. You can follow any responses to this entry through the RSS 2.0 feed. You can leave a response, or trackback from your own site. I enjoy spending time with my children and going on rides with them. Feet up, on my balcony, overlooking the forest of trees, watching the bunnies bounce and play, smell of green grass, pure silence! I look over my garden of peace! I live in the Mississippi Delta…hot, sticky weather for us is normal…so I have to wait until late, late in the evenings…then I have to fight mosquitoes to enjoy the outside! But I do love when I am able to get out and sit and visit with my parents late in the evenings. I Love Enjoy Life products. 🙂 My favorite way to spend my summer evenings is watching my kids play softball. When they don’t have games I like to watch them just hanging out together in our driveway playing basketball-sometimes I even play with them! We spend summer evenings relaxing on the deck with grilled meals and cool drinks while our dogs and cat lounge with us…until the mosquitos chase us inside! My hubby and I enjoy summer evenings on the back deck in our rocking chairs (also mornings with coffee) having the birds entertain us. But we especially enjoy having supper on the deck with our children and grands (12 to 15 people) every other Sunday when they come. I Love Enjoy Life cookies. I used to make a layered chocolate desert with bottom layer flour, nuts and butter – baked and cooled. Just too much trouble with gluten free flour UNTIL I found the Double Chocolate Cookies to use as a base. My son and I both are GF but the whole family from adults to grands like this better than the gluten one. Well, I am mostly @ home studying; some times go out or bake a GF yummy for myself! I would love to win Enjoy Life Crunchy Cookies. I just love my dessert. I enjoy sitting out on the deck in the evening after it has cooled down. These cookies sound yummy. 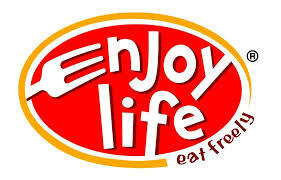 I have used the Enjoy Life brand cookies in several flavors as pie crusts for pies and cheesecakes. As well as eating as cookies. Always fresh and delicious! I enjoy sitting on my porch watching the thunderstorms roll by. I love summer evenings when I get to roast marshmellows on the campfire and not worry about getting up early in the morning! I love spending my summer evenings with my family! We hang together, watch movies or our favorite TV show, or just sit and catch up with each other! Some of my favorite times are when we are all just laying on our couches and talking! I love holding my cat while we watch all the hummingbirds at the feeder. One flies right up into his face, which always amuses and amazes me. I love spending my summer night outside under the stars with my husband, a nice fire, some music, a few friends and my dogs. Enjoy sitting on the deck and enjoy supper in the evenings. I love to putter in my garden or go for an evening walk. Sometimes I just love to sit and read a book while listening to the wind rustle the leaves. I enjoy summer evenings by walking with my beloved, but using our Nordic walking poles. About 7:30 pm, we either walk our 2.5 miles in our neighborhood, or go to Steppingstone Park by the water and walk 2 or 3 times around the park. That’s especially nice when there’s a free concert! 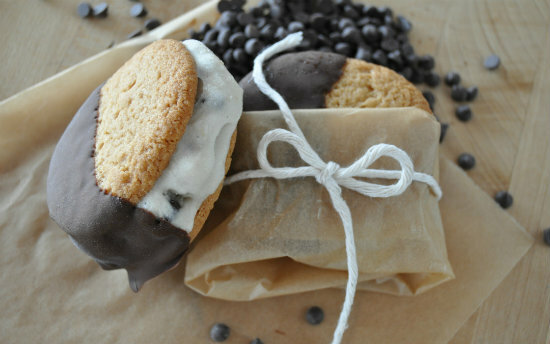 Those frozen smore cookie sandwiches look so yummy. I enjoy sitting in the garden evenings and watching sunset. I eat outside dinner if the weather is not too hot. After dinner I like to eat cookies. Spending time by the pool with these sounds awesome!!! making s’mores with our guest from japan! the look on her face was priceless when she ate her first toasty delicious s’mores! I enjoy sitting on my back porch with a cup of coffee and watching the horses graze in the pasture. That’s my serenity. It always nice to take a stroll in the cool, late evening air while listening to the soft chirps of wildlife. I love to spend a beautiful summer evening sitting out on my swing reading. Who doesn’t enjoy crunchy cookies. After a busy day, my family and I like to relax on our front porch, talking and enjoying the quiet of the neighborhood. Many nights, a neighbor comes by to join us! I love relaxing with a good snack and some bad reality tv! Taking a late evening walk and watching the lightning bugs! Lately we have been enjoying our summer evenings w/ backyard croquet games and listening to crickets, tree frogs and the sound of wind in the trees…. There is nothing like the fresh scent of morning dew. Taking a long walk around the neighborhood! Watching the sunset……..on my back deck or while floating the river. I love having a bonfire in our backyard, watching the fireflys and the bats flying around eating all the mosquitoes!!! I love spending the evening with my family. We talk, watch a family movie and just spend time together. At home enjoying the sunshine on my deck. I enjoy sitting by the swimming pool and watching sunset. During summer evenings, I love to garden. When I garden in the back yard, I can talk to my neighbor who also likes to garden in the evening. I live close to a playground. Therefore, when I work in the front yard, I have the opportunity to speak to people as they walk to or from the playground. When I have an abundance of plants like daisies or sedum, I offer the plants to the people that that walk by. Once it gets too dark to garden, I go inside the house and relax with family. Every night, I call my brother who lives in another state and we share events of the day. I also enjoy watering my flower gardens in the late evening and enjoy looking at all the gorgeous colors. Sitting on my deck play cribbage! Myself my hubby and our two little dogs go for a lovely walk along the dykes that are prevalent in our part of the world. It’s a wonderful time of day where we enjoy cool, gentle breezes, deer as they enjoy the wild grasses, eagles, hawks, ducks and an energetic family of otters who greet us with little snorts and funny chitters. It’s always fun, exciting and very peaceful. I could really go for a frozen smore cookie sandwich. I relax at night scrolling through facebook! I sit on my front porch and watch all the birds get their last meal in. I especially love the Humming Birds. They are my favorites. sitting out on my back deck,, drinking a glass of wine, and watching the sun set! I love dessert frozen are not and who doesn’t like chocolate. A summer evening is a good time for a small barbecue with family. I enjoy my summertime evening sitting on the porch with glass of wine listening to the crickets in the garden. Lately, we’ve been spending our nights recovering from the day of flood cleaning. Our area of MI was hit by a huge rain, causing huge basement floods. We’ve been enjoying the evenings together in our clean, dry living room! I love playing board games with my family and friends! Nothing is more hilarious than playing Apples to Apples or Quelf with them! Sunny today and very hot. Time for chocolate frozen desserts to keep cool and gardening in the evening among all those pesky mosquitoes . We enjoy sitting outside with citronella candles watching bats in the dusky evening. An evening snack of gf cookies makes it that much better. I enjoy summer evenings by taking a walk on a trail or relaxing in my hammock. I enjoy hanging around a camp fire in our back yard roasting marshmallows with the kids. While they love making them into smores. I did not think til just now how awesome they would be with the enjoy life cookies! The kids would love it! I hope that Enjoy Life Foods have Crunchy Cookies, Frozen Sandwiches and Frozen Pies available in my home town of Gatineau, Quebec Canada.